A surgical site infection is an infection that occurs after surgery in the part of the body where the surgery took place. Surgical site infections can sometimes be superficial infections involving the skin only. Other surgical site infections are more serious and can involve tissues under the skin, organs or implanted material. Research has shown that proper administration of antibiotics can help prevent infections. Standardizing the ordering and administration of antibiotics. Involving parents and caregivers in the prevention process by reviewing pre-surgical activities during clinic visits. Stressing the importance of bathing and shampooing hair the day before surgery. Using antibacterial soap and shampoo in high-risk cases. 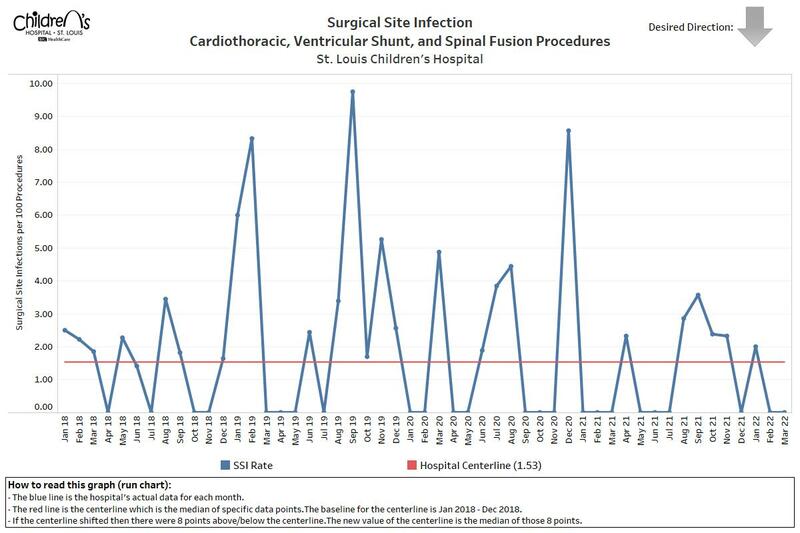 What can families do to prevent surgical site infections? Tell your doctor about other medical problems your child may have. Health problems such as allergies, diabetes, and obesity could affect the surgery and treatment. Prior to arriving at the hospital, give your child a bath and wash their hair the night before or morning of surgery. Make sure that all doctors and nurses caring for your child clean their hands with soap and water or an alcohol-based hand rub before and after caring for you. Family and friends who visit should not touch the surgical wound or dressings. Family and friends should clean their hands with soap and water or an alcohol-based hand rub before and after visiting. If you do not see them clean their hands, ask them to do so. Make sure you understand how to care for your child’s wound before you leave the hospital. Always clean your hands before and after caring for your child’s wound. Before you go home, make sure you know whom to contact if you have questions or problems after you get home. If your child has symptoms of an infection, such as redness and pain at the surgery site, drainage, or fever, call your child’s doctor immediately.